Card playing has been popular for over six-hundred years. The origin of playing cards grew from Chinese money cards that have four suits, coins, strings of coins, myriads of strings, and tens of myriads. The four suits with which we are familiar with today, spades, hearts, clubs, and diamonds, originated in France. Acquaint yourself with the rules before the first hand is dealt with these titles from our digital collections. Do you turn down invites to poker games because you don't know the rules? 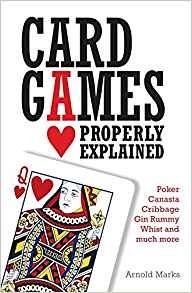 Then Card Games Properly Explained is the book for you. Arnold Marks's handbook will teach you not only what you need to know to play the game, but how to play to win. He will teach you Whist and its variations: Solo and Napoleon; Poker and its variations like Seven Card Stud and Deuces Wild; Cribbage; Rummy-the forefather of Gin Rummy and Canasta, among others; and more. Written for the novice player and to help players looking for a book to decisively settle arguments with clear, understandable rules, Card Games Properly Explained is a great book to have on hand in any game room. Natural step-by-step method allows you to see the inner logic of game from start. 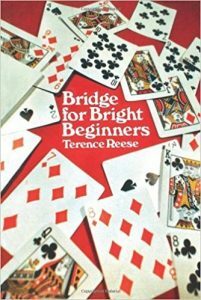 Simple common-sensical chapters on bidding, play and defense, scoring, elementary bridge strategies and how they work. 130 bidding hands and 18 full sample games help you at each step. 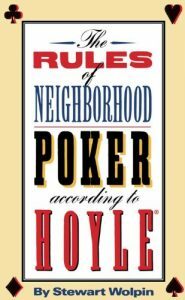 Here's a chance to learn the 200 real rules of poker, including descriptions of the characters, the right food and the wrong food to serve; betting strategies that keep players from losing too much too early; dealing, talking; and the dos and don'ts of a minimal standard of behavior. 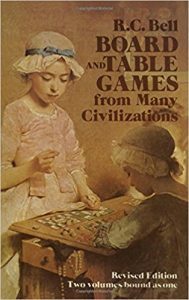 Perhaps the most authoritative work on the subject, this encyclopedic volume is a basic reference to board and table games from around the world. It provides the rules and methods of play for more than 180 different games: Ma-jong, Hazard, Wei-ch'i (go), Backgammon, Pachisi, and many others. Over 300 photographs and line drawings.